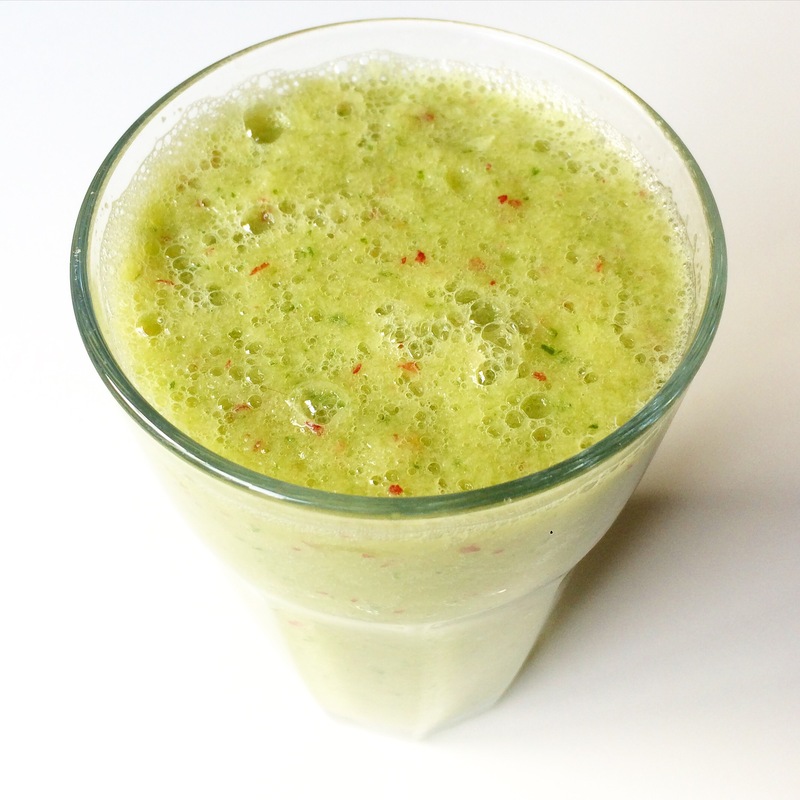 It’s day 14 of my 22-day vegan challenge – the end of my second week! If you want to find out more about Marco Borges’ 22-Day Revolution, and begin with day zero, click here! I had a mini disaster this morning, because one of the two beetroots I’d bought for today’s juice turned out to be rotten! So, my juice was just one beetroot, plus an apple, a lime (no more lemons! ), and a cucumber. A fairly decent portion for 155, although adding the lime really made it pretty sour. 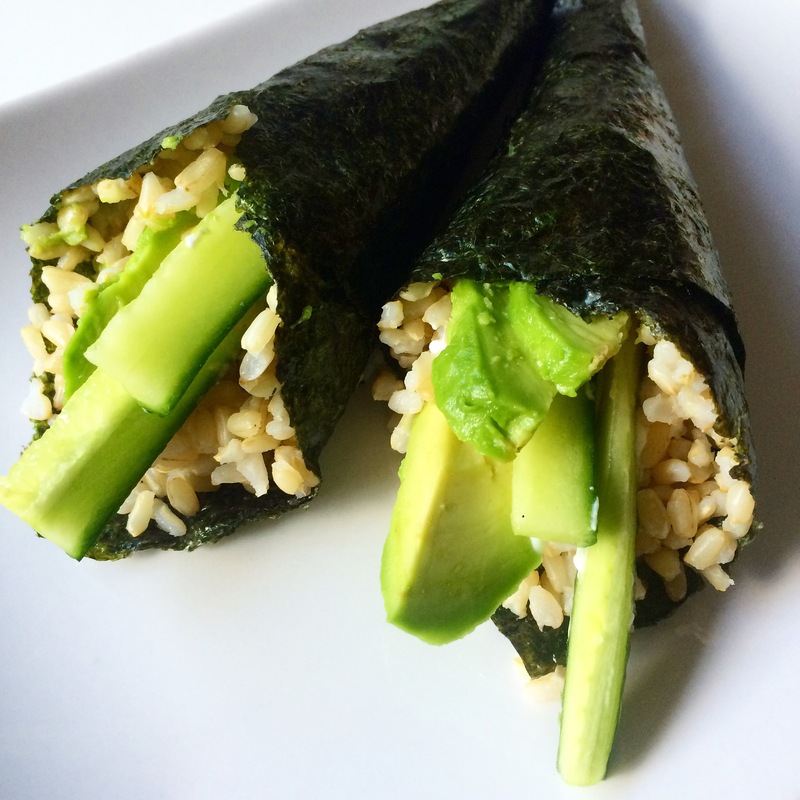 After I had such a tough time last week making vegan sushi, I decided to stick to handrolls this time – much easier to make and just as tasty. I didn’t follow the ingredients properly on this, because I can’t get jicama and I couldn’t find my cashews! So, I snacked on 10g of walnuts to replace those, and just had my rolls with avocado, cucumber and vegan mayonnaise in the middle. I used 100g of cooked brown rice, and the calorie count came in at 291. This is a pretty tasty make-ahead lunch if you need to take yours into work! 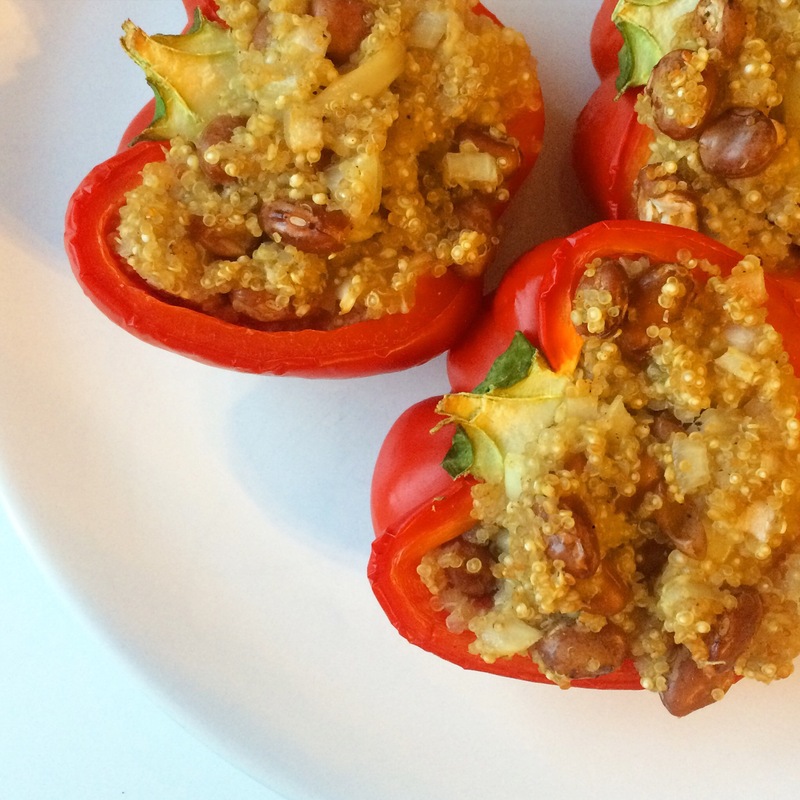 Dinner was Quinoa-Stuffed Red Peppers. I’d been looking forward to this, but in the end, I didn’t really go much on them. I also ended up using about a quarter of this stuffing for one person, divided into one pepper. You mix cooked quinoa, pinto beans, onion, cumin, garlic powder, salt and pepper together, then stuff them in the peppers and bake. Pretty simple, but it just didn’t do it for me. The calorie count was hard to guess because I didn’t eat all of mine, but it was around 375. I ended up consoling myself with a punnet of olives from Graze, so the whole day came in at 1134 calories. I also did another 45 minutes on the bike – it’s such an easy way to get cardio while watching TV! There was no more weight loss again today – probably because of all my terrible snacking. The next three days are going to be a massive challenge for me, as I’m off for a work convention that lasts three days. I’m going to do my best to stay vegan and gluten-free, and I’ve already stocked up on some essentials for lunches, but for dinners I’m at the mercy of the local restaurants, and breakfast will be whatever the hotel can provide. Usually this would be a fantastic opportunity to let my hair down and pig out, but I’m going to have to restrain myself! Probably the only thing that will keep me on track is the fear of the weigh-in at the end. I’m terrified! Wish me luck!